Offering you a complete choice of products which include primix plaster and ready made plaster. We supply river sand primix plaster. Covrage is @ 20 sq ft per 40 kg bag considering 10 to 12 mm thickness on aac block masonry wall. 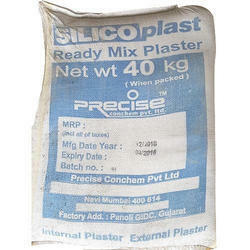 Ready mix plaster with polymers & fibres. Minimise on site wastage. Graded sand of particle size ranging 3mm to 150 microns. Uniform quality, minimum shrinkage cracks & less rebound loss. Looking for ready made plaster ?